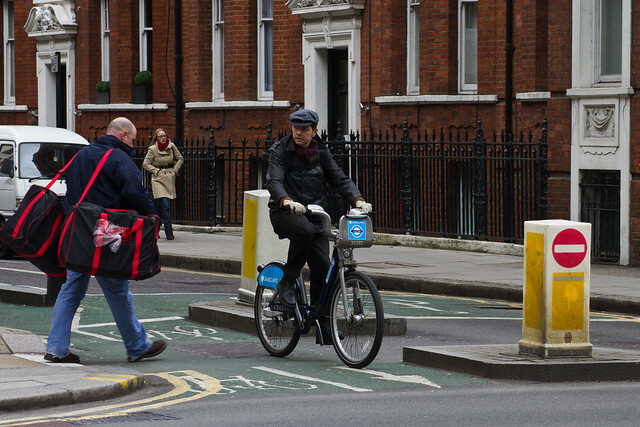 I was only in London for the day last Tuesday, but managed to capture some urban cycling action on the streets. Here are some of London's bike share bicycles on the streets. Citizen Cyclists using the bicycles to get around the city centre. I must admit, however, that I didn't spot hardly any people on bicycles who looked relaxed. London is a black hole for bicycle infrastructure so most of the cyclists looked like they were being hunted down like dogs. 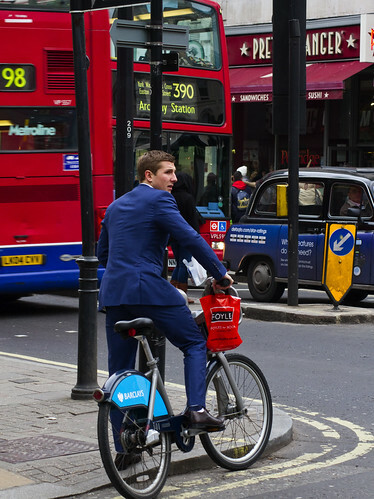 Compared to Paris, where safe bicycle infrastructure has brought amazing numbers of regular citizens onto bicycles - private bikes and/or Vélib bike share bicycles - cycling in London is a fringe activity. There were women out there on the streets, but very few compared to the men. All the same, seeing bicycles in the city is a positive sign and I'll happily record it. 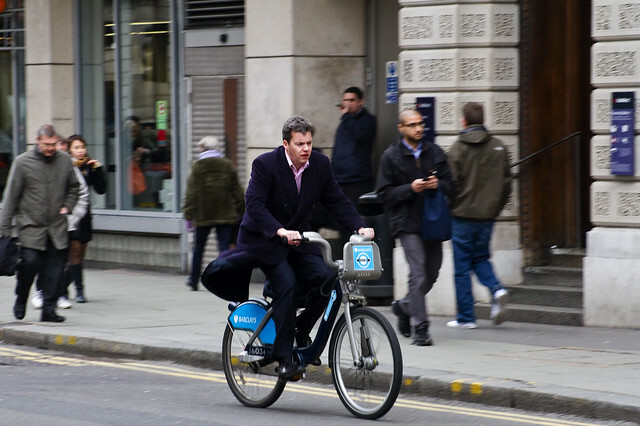 It's baby steps for London, but the bicycle is back and it's not going anywhere. Go get a bicycle Londoners, it will change your life! "...the bicycle is back and it's not going anywhere." ...could be interpreted in more than one way. Especially in London. Come back soon, and next time please bring a big stick to poke our authorities with! Great shots, by the way. It is true that London doesn’t have the most improved bicycle infrastructure. But it is good to see some still riding bicycle despites the poor infrastructure. If more people start commuting by cycles I am pretty sure government will consider improving the infrastructure.